The People’s Republic of China is the world’s most populous state and largest consumer of energy, having demonstrated momentous progress on an unprecedented scale. This global power has increasingly shaped international relations as a result of its population size, economic development and political character. Identifying the most significant new issues and problems that have arisen from China’s rapid development, this book examines the evolution of China’s contemporary foreign policy and international relations. In doing so, it underlines the global importance of China’s management of its own politics and economics, and demonstrates how all nation-states have a vested interest in —and to varying degrees are liable for —the consequences of Chinese actions. The book aims to spark debate by drawing attention to these critical issues; placing them on the scholarly agenda as well as that of the practitioner. It provides factual evidence, progressive findings, justification and a rationale for action, expert analysis, and the resulting policy prescriptions. 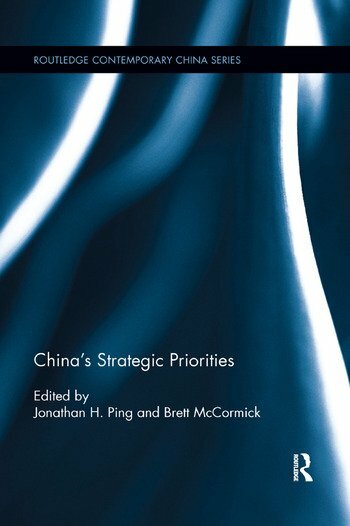 In addition, the book highlights the liable costs of failing to address China’s strategic priorities. This interdisciplinary book draws attention to the most pressing issues that China must address for universal benefit, and will be of great interest to students and scholars of International Relations, Chinese Studies and Political Science. Jonathan H. Ping is an Associate Dean and Associate Professor at Bond University, Australia. He is the Founder and a Director of the East Asia Security Centre at this university. Brett McCormick is Director of Global Studies at the University of New Haven, USA and a Director of the East Asia Security Centre housed at Bond University, Australia.